This story about a struggling artist and her wealthy admirer, is something of a romance through time. It take place in the New York art scene. The first appearance of the story was in the October 2008 issue of Analog Magazine. 'Universe' is about a cataclysmic upheaval in an alien civilization. 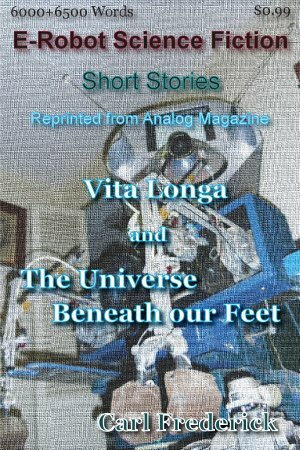 This story appeared in the December 2009 Analog Magazine. It went on to win the 'An Lab' best Analog short-story of the year award. Not everyone liked it though. An on-line review criticized it as being hostile toward religion. It's hard to please everyone.